Here is 9th class civics guess paper 2019 board exams. I have shared all subjects guess papers for 9th class. The guess paper for civics 9th class is just a guess but you need to learn full book if you want to get high marks. This guess is just the idea of how and which important questions can appear in Exams. Below is the image of the guess paper for civics 9th class. please share it with others. These are images and you can copy to your phone or laptop. These images are high resolution and can be printed on paper. 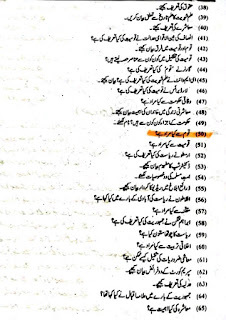 I am constantly making physics, chemistry, biology, maths, general science, civics, Punjabi, Urdu, English, computer science, and other subjects guess papers for 9th class.